It's a bloomin' great time for vegans and veggies alike in London right now as there are new vegan joints and menus appearing all over the city. One of the ones that I was most excited about was the introduction of The Diner's vegetarian and vegan menu. 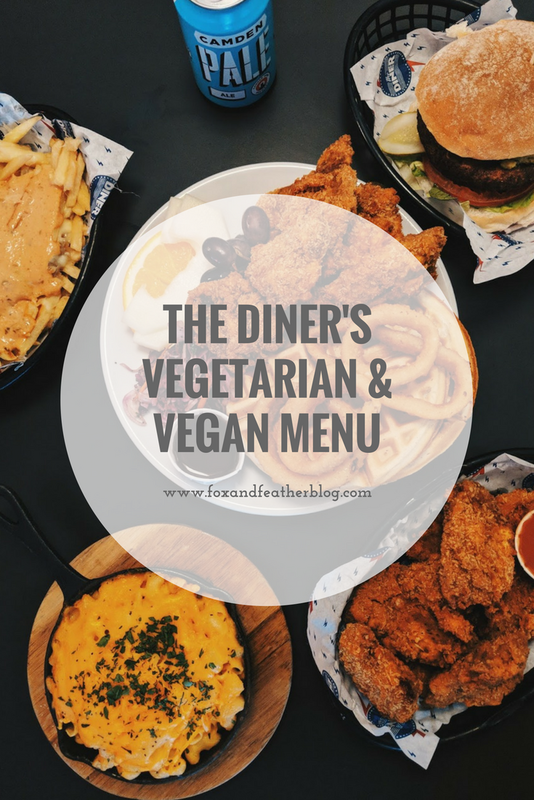 I reviewed a few of The Diner's vegetarian options back at the start of the year, but none of the options we tasted then were vegan back then so I was keen to test out their new, extended menu. 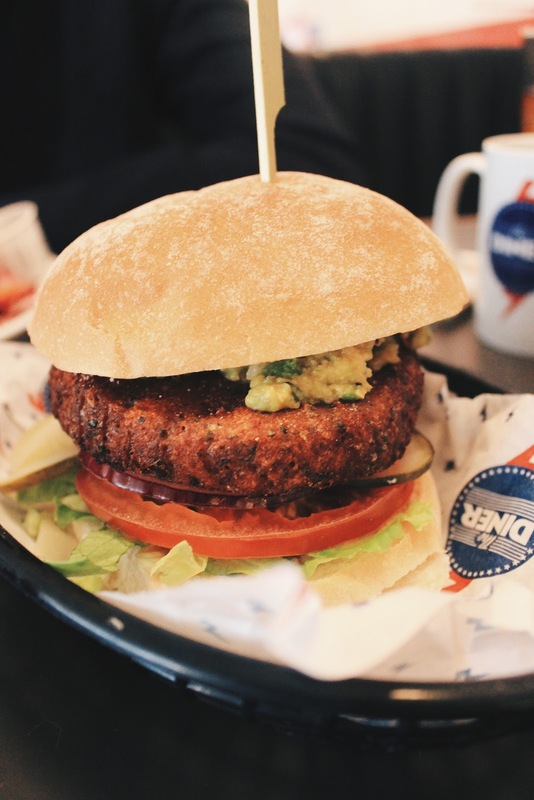 The menu is currently only available at the Islington and The Strand branches, so if you're a burger hungry vegan in London then you're in luck! We dropped by the Islington branch on a Sunday afternoon ready to feast upon as much plant-based dirty food as we could handle. The menu itself covers both a range of breakfast and brunch dishes to typical American-inspired junk food. We ordered a selection of dishes including The Diner Vegan Burger, Vegan Mac 'n' Cheese, Southern Fried Seitan, Hanger Fries (vegetarian, non-vegan) and the Freakshow Seitan. However, whilst all of this sounds absolutely heavenly and incredibly indulgent, unfortunately some of the dishes we ordered weren't so great. Let's start with the good though, because despite being disappointed with a few of the dishes, a few of the others made up for it! The Diner Vegan Burger is almost exactly the same as their vegetarian option but takeaway the cheese and replace it with guacamole and a little Franks hot sauce instead. As a self-confessed enthusiast for both guacamole and Frank's hot sauce, I very much approve of this combination. The patty itself seems to be identical to their vegetarian one and is unlike any other veg-based burger I've tasted before as the taste resembles sage & onion stuffing more than anything else, but it's delicious! 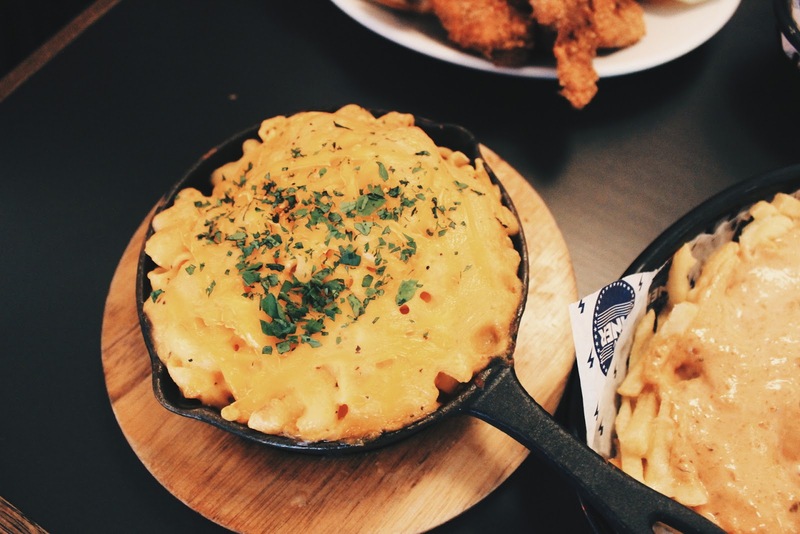 Vegan cheese alternatives can really be hit or miss, but The Diner's Vegan Mac 'n' Cheese is pretty effin' great! I mean, I love a mean mac 'n' cheese and this vegan alternative, which you can choose as main or a side, really is moresome. It's so good that even non-vegan pals would appreciate it! 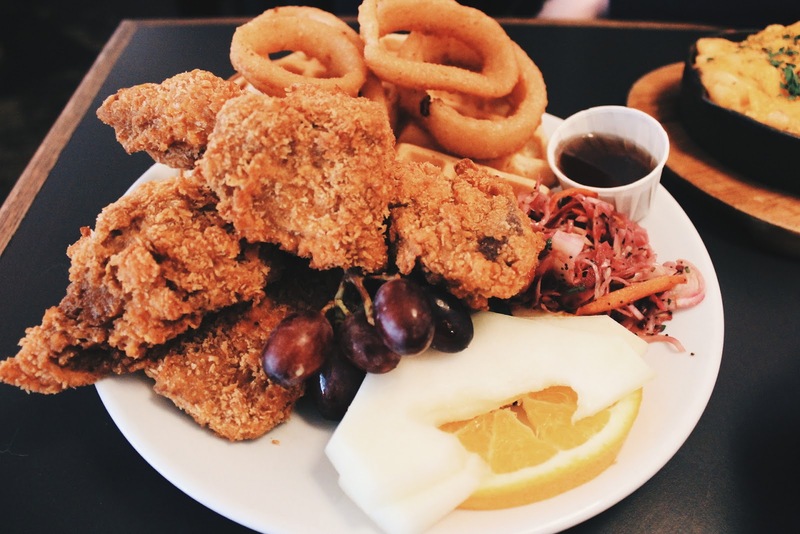 Unfortunately, the two dishes that we both didn't enjoy were the Southern Fried Seitan and the Freakshow Seitan. Now, I've been singing seitan's praises ever since I first tasted it and I've even bigged it up to meat-eaters as a 'must try' because it's such an uncanny replacement for certain types of meat. As soon as I spotted it on the new menu, I knew that I absolutely had to taste it, because I've not had a bad experience with seitan before. Unfortunately, we both really, really disliked The Diner's seitan offering and couldn't eat either of the dishes. My issue with it was that the seitan was far too thick, stodgy and inedible. Although, I've never cooked with it myself so my comment may be misguided, but it just wasn't cooked too well - there's so much that you can do with seitan, but it just seemed as if it was cut up in thick chunks and deep-fried in breadcrumbs. Considering I've been banging onto to everyone, including meat-eaters, the past few months about how great seitan is and if I first introduced them to it through these dishes I just don't think they do the meat alternative justice at all. The Freakshow Seitan came with a little pot of Frank's hot sauce and the Southern Fried Seitan came with some waffles, syrup, onion rings, slaw and a selection of fruit. 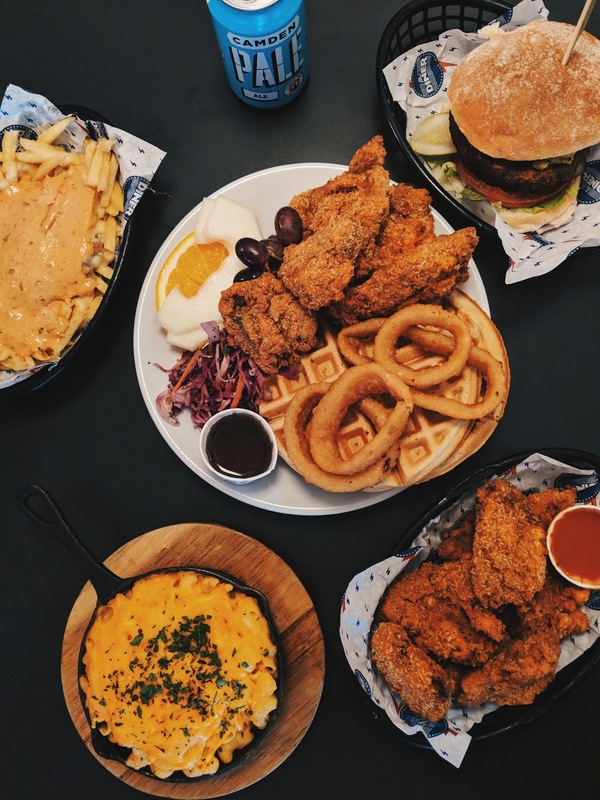 The staff at The Diner Islington did ask for our honest opinion on the dishes and we did give our feedback on the seitan dishes, which was passed on. It's still early days for their new vegan & veggie menu, so I'm hoping that they do develop the seitan recipe further. It's so wonderful to see a restaurant brand that thrives on the reputation of their meat-based menu extending their vegan and vegetarian options for a plant-based customer base. I would still recommend checking out the new menu at The Diner as the menu is so huge that there's plenty to choose from; I mean, I didn't even have a chance to try out the huge selection of vegan pancakes available! I would even recommend you try out the seitan, because what I may dislike, someone else may enjoy. 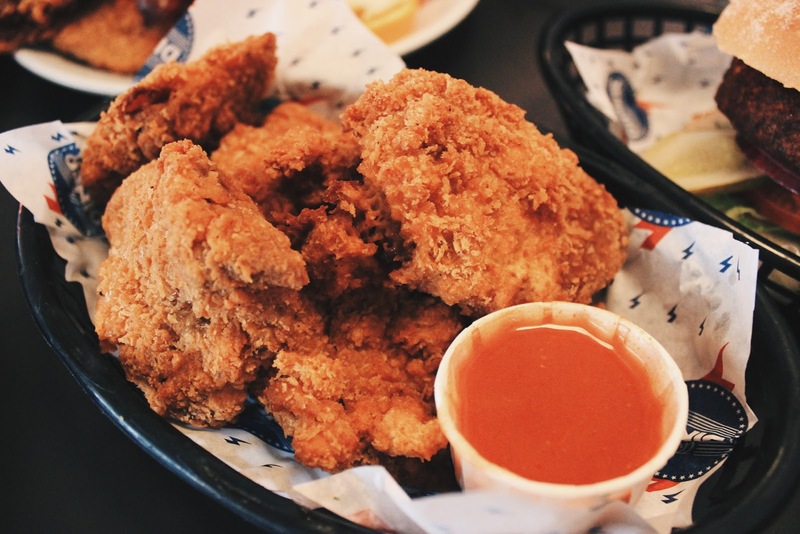 Have you tried The Diner's new vegan & vegetarian menu before? If so, what did you think? Disclaimer: I was offered a complimentary meal from The Diner in exchange for an honest review. All words are my own and my opinion is honest.